Thousands braved the rain and mud to enjoy another spectacular Nantwich Show at Dorfold Park. And as these pictures show, the weather did not put people off taking in the wide array of events, exhibitions and marquees on offer. Nantwich bus users are being urged to air their views as Cheshire East plans a radical overhaul of its supported routes which could impact on hundreds of people. The 10-week borough-wide consultation into proposed changes to subsidised bus services, including the ‘Little Bus’ flexible transport service, comes to an end on July 26. Communities around six Nantwich churches teamed up to produce these stunning knitted tableau pieces. School children to grannies, Brownies and Guides to sheltered housing residents, police officers to publicans, and farmers to family practitioners have all helped produce the displays. Villagers near Nantwich are celebrating after the Planning Inspectorate dismissed an appeal to turn former RAF camp at Hack Green into a travellers camp. Applicants representing nine traveller families, known as Hack Green Group, wanted to turn the former camp into nine plots. The Canal & River Trust has launched an appeal for volunteer lock keepers on canals around Cheshire. They need lock keepers for locations near Nantwich, including Bunbury Locks, Cholmondeston Lock, Hurleston Lock, and Audlem. 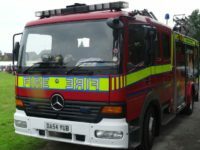 Fire crews battle a car fire after the vehicle was found ablaze in a field at Austerson, near Nantwich. Firefighters from Nantwich were called out to the incident off Coole Lane at around 2.30am today (October 15). Staff and students at Sound and District Primary School are celebrating after SATS results show they are the best in Nantwich. Assessment of average point scores in SATS puts the village school first in Nantwich and among the best in the country. Nantwich Town councillors have voted to support Nantwich and Rural Children’s Centre, which is threatened with closure by Cheshire East. The centre, on Dog Lane, provides services to hundreds of families and their young children every week. Residents fighting plans to turn the former RAF Hack Green camp in Nantwich into a site for travelling Showpeople will see the proposals put before an appeal hearing next week. The original application to convert the site next to a quiet residential area off Coole Lane as submitted nearly two years ago. The family of a missing Nantwich man with dementia have made an emotional appeal for his return. Richard Tomlinson and Kate Tomlinson, son and granddaughter of 83-year-old Roy Tomlinson, have issued a statement as the search for him continues. Nantwich police will be visiting local villages this weekend to offer free bike security. PCSO Nicholas Jarvis will also be available for residents to raise concerns and views on law and order. Villagers are being invited to celebrate the opening of the new-look Broomhall and Sound Community Centre near Nantwich. The £125,000 project was put together to build an annexe to Broomhall and Sound Methodist Chapel, originally built in 1838. A Nantwich councillor has urged resident to air their views on whether plans for a Nantwich South bypass linking the A500 to the A530 are viable. Cheshire East Council leader Cllr Michael Jones revealed last week how the idea is being considered in a bid to alleviate traffic problems in Nantwich.